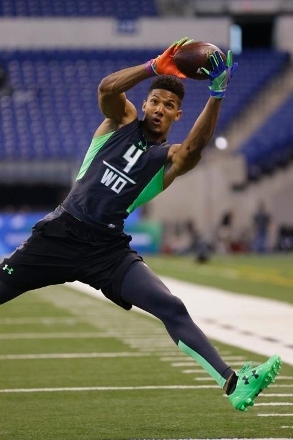 When Bengals legend Isaac Curtis stepped to the podium in Chicago to announce the Bengals’ second round pick in the 2016 draft, he said “Tyler Boyd” and then hesitated before adding his position. Perhaps he was considering how many to mention. 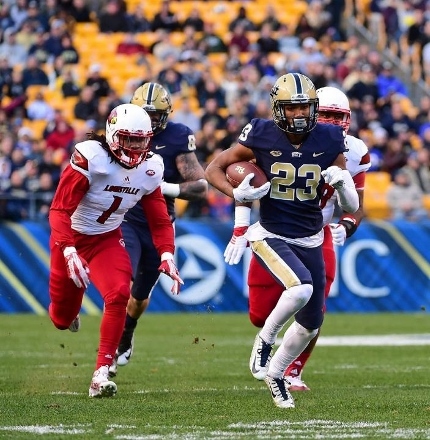 Boyd is a wide receiver, but in three years at the University of Pittsburgh he could have been listed on the roster as a “Swiss Army Knife” as Tyler caught 254 passes, ran the ball 63 times, returned 73 kicks or punts, and even completed 3 out of 4 passes. “There are Sanu-esque things in the versatility that he provides,” said receivers coach James Urban. Like former Bengals WR Mohamed Sanu, Boyd does not have blazing speed as he was timed at 4.5 seconds in the 40-yard dash at Pitt’s pro day. But that did not prevent him from breaking Larry Fitzgerald’s school records for career receptions and receiving yards (3,361). With the free agent departures of Sanu and Marvin Jones, Boyd will have the opportunity to play a significant role as a rookie. “He strikes me as a guy that can play the slot early, and learn the outside spot and be productive out there as we go,” said Zampese. The 21-year-old was raised in the Pittsburgh area and helped his high school team win four state championships before attending Pitt. It’s no surprise to learn that his favorite NFL team is the Bengals’ biggest rival. If not hell, Boyd can at least cause headaches for opposing defenses by giving Andy Dalton another versatile and dependable weapon. “We think we got a good football player and we’re going to find ways to take advantage of his skill set and we think it’s a good fit,” said Urban. “I can’t wait to start the next chapter in my life,” said Boyd. “I’m really happy and appreciative that the Cincinnati Bengals chose a great player like myself.